As we conducted these interviews, Lawrence Ferlinghetti was ninety-nine years old. By the time this is published, he’ll be one hundred. Simultaneous with this milestone, Doubleday is publishing his third novel, Little Boy, an autobiographical stream-of-consciousness novel that his publisher would prefer were a memoir. For while his 1958 book A Coney Island of the Mind has sold over a million copies, Ferlinghetti is not simply a famous poet; he is a counterculture icon, known for his association with Beat generation writers such as Allen Ginsberg and Jack Kerouac and for City Lights, the bookstore/publishing house he cofounded. 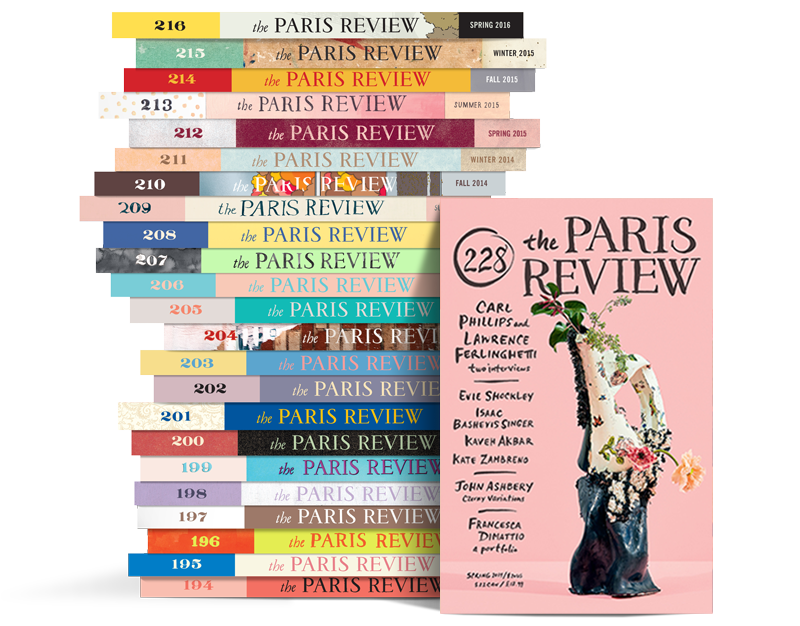 There are few peaks he hasn’t scaled as a public ­figure—talking to the New York Times is as nothing to him—but the prospect of a Paris Review interview still appealed to his sense of literary endeavor. Born in 1919 in Yonkers, New York, Ferlinghetti grew up essentially an orphan; his father died before his birth, and his mother was committed to a psychiatric institution. He was raised by an aunt, first in Strasbourg, France, and later in Bronxville, New York, where she abandoned him to the care of her employers, the wealthy Bisland family, who sent him to boarding school. Graduating from the University of North Carolina in 1941, Ferlinghetti enrolled in the navy’s officer training school after the attack on Pearl Harbor and became the commander of a submarine chaser. He participated in the D-Day invasion and was sent to the Pacific for the proposed invasion of Japan, which was canceled after the atomic bombing of Hiroshima and Nagasaki. A trip to survey the destruction at Nagasaki weeks later instilled in him a committed pacifism and planted the seeds of the revolutionary consciousness that characterizes his work both as poet and as publisher. After the war, Ferlinghetti earned an M.A. at Columbia and a Ph.D. at the Sorbonne, both on the GI Bill. During his time in Paris, he began writing and translating poetry and also started painting, a lifelong parallel pursuit. In 1951, returning stateside, he moved to San Francisco. In 1953, he joined forces with Peter D. Martin to open the country’s first all-paperback bookstore, City Lights. In 1955, Ferlinghetti published Pictures of the Gone World, simultaneously his first book, the first City Lights book, and the first installment of the Pocket Poets series. In 1957, he was arrested and tried for obscenity for selling Pocket Poets No. 4, Howl & Other Poems, by Allen Ginsberg. The ACLU’s successful defense of Ferlinghetti was one of the key battles ending literary censorship in the U.S. In addition to Little Boy, Ferlinghetti has published two previous novels and over a dozen full-length books of poetry, as well as plays, translations, travel journals, and correspondence. Our interviews took place over several weeks in the summer of 2018, in the modest North Beach apartment Ferlinghetti has occupied since 1978. In recent years macular degeneration has destroyed his vision to the point that he can no longer read, and the once active outdoorsman has been compelled to give up long walks and bicycling around San Francisco. Yet even so, he looks nowhere near one hundred. His posture remains unbent, his grip is firm, and all attempts to persuade him to adopt a cane have been rebuffed. He continues to write, with assistance, and maintains an active social and professional life. For all his fame, he seems deficient in any aggrandized sense of self. I was in Paris on the GI Bill in the graduate school at the Sorbonne ’47 through ’50. Jean-Paul Sartre and Simone de Beauvoir and the other existentialists were hot then. Did you ever meet Sartre or any of those people? I used to see Beauvoir and Sartre sitting in the Brasserie Lipp, across the boulevard Saint-Germain from the Café de Flore. They hung out on the second floor, until the tourists started arriving and they had to flee to some other part of town. And I’m this student—I wasn’t about to go up and try and engage Monsieur Sartre in a literary conversation. I could see him signaling the waiter, and then I would get the boot out the door. Did you already know French? French was my first language. I lived in France when I was a very small boy with a relative of my mother, who was sick and couldn’t take care of me. We lived near Strasbourg in a town, the same town that Captain Dreyfus was from. Do you have any memories of moving to France or of coming back as a child? No, I was too small. I do remember someone was holding me on one of those fifth-story running balconies that are on the old classic French buildings. We were standing out on the balcony and a military parade was going by. This must’ve been about 1922. That’s about all I remember of Strasbourg. When did you start speaking English? I don’t know. I just picked it up. Do you think having been a French speaker first and then an English speaker has had any effect on your poetry? Not very much. I mean, specific poets—for instance, Apollinaire—certainly influenced my poetry. Which of his poems were special to you? I know Cendrars was also big for you. Oh yes, Cendrars. He had a book I read in which he took the Trans-Siberian Railway and went across Russia to Siberia. I did the same thing, thinking he had actually done that journey! I don’t know now whether he actually did do it or whether he made it all up. When did you actually start writing poems? I really didn’t start until I was in Paris. It was heavily influenced by T. S. Eliot and Ezra Pound. I didn’t publish anything, and it’s just as well—there was nothing publishable. I think they’re all in some blue notebooks in the Bancroft Library in Berkeley. 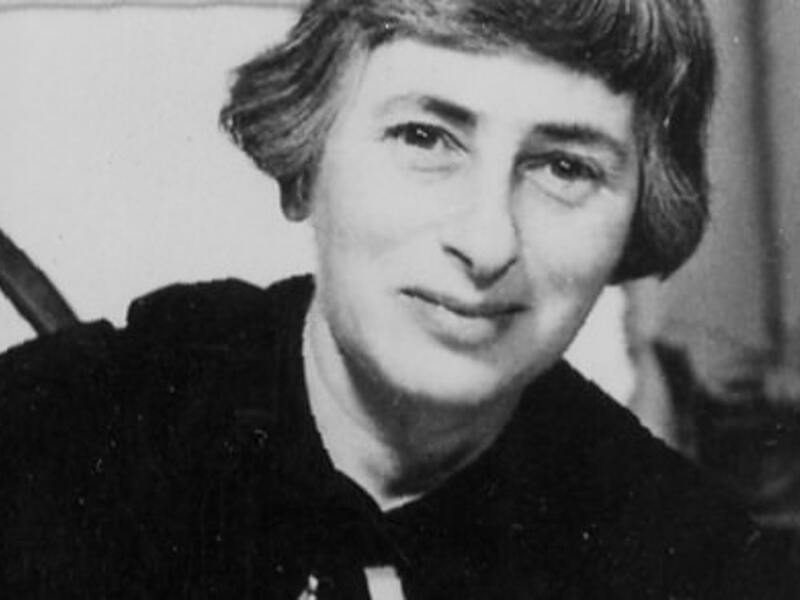 Did being a translator of poetry have a big role in your becoming a poet? Yeah, I was translating Jacques Prévert. He was very easy to translate. He wrote in very simple language. Then many years later I published a translation of his Paroles as a City Lights book. City Lights ended up being his only publisher in America for many years. Never. Years later, I got a postcard—probably a drunken postcard—from somewhere on the Riviera. But that was after our edition had really gotten around. He must’ve gotten hold of a copy. But anyway, Paris after the Second World War was so different from the Paris of today. It was still shell-shocked from the German occupation. In 1947, you’d see a line of people with their small buckets waiting to get their portion of milk. It wasn’t until the fifties that Paris really got itself together again. George Whitman started Shakespeare and Company—it was first called Le Mistral—in the same place where Shakespeare and Company is today, on the Left Bank facing Notre Dame. George Whitman was probably the most eccentric person I’ve ever met in my life. He had a sister who was in the philosophy department at Columbia, and I was at Columbia getting an M.A., and when I decided to go to Paris she gave me his address. He was living in a third- or fourth-class hotel on the Boul’Mich called Hôtel de Suez. It was a dump. George was in a room about twelve feet square with books lined all the way up to the ceiling on three sides and he was sitting on a broken-down chair cooking his lunch on a can of Sterno. That would have been the end of 1947. I think he started Le Mistral a couple years later. Then at the same location, in 1964, he realized that Sylvia Beach, who had Shakespeare and Company, was no longer alive, so he went out and bought a brass plate and started calling the bookstore Shakespeare and Company. He didn’t really have any connection with Sylvia Beach, although he has a daughter whom he named Sylvia, who is now running the bookstore. What were you studying at Columbia? I got a master’s on John Ruskin and J. M. W. Turner. Ruskin had written a long series of books called Modern Painters. The whole thesis of the series was, in the Dark Ages, there was no light on the canvas. Generally, the canvases were totally dark, and it was only with the Italian Renaissance that a little bit of light began to break through, in the skies. As the centuries progressed, more and more light appeared on canvases. So when Turner showed up in the eighteenth and nineteenth centuries, light burst forth. At the end of Turner’s life, the canvases were practically pure light, hardly any figuration.